It is no longer a secret: in July 2017, Nikon’s President – Kazio Ushida – officially announced the addition of a hybrid camera to the company’s product lineup. Ever since this announcement was made, Nikon’s hybrid has been attracting a lot of attention. Amid the expectations of Nikon aficionados, the rumors, and the scarce official information, speculation has been running rampant. Therefore, I propose that we take stock of the current state of development of Nikon’s hybrid camera and its possible release date. I will base this evaluation on my own personal expectations as well as on the most reliable information I was able to collect. Please feel free to leave your comments and opinions in the comments section! Why buy a Nikon hybrid? Many things have changed in the world of photography in the last few years. While the reflex camera represented the ultimate camera a few years ago, nowadays, its supremacy is being challenged. The introduction of more compact and lightweight cameras which are just as powerful as reflex cameras has been a game-changer. Nowadays, reflex cameras are no longer (by any means) the only type of camera that allows you to take “good photos”. Hybrid cameras (or mirrorless cameras) are fast becoming the most popular type of camera. These cameras are powerful, affordable, and lightweight. Many professional photographers, especially those in the world of social photography, have already switched from a reflex to a hybrid camera. Sports and action photographers are more hesitant to do so since they have need for very responsive and robust cameras. The first hybrid cameras did not possess these characteristics, but more recent models do. As a result, even these photographers are beginning to transition towards hybrid cameras. 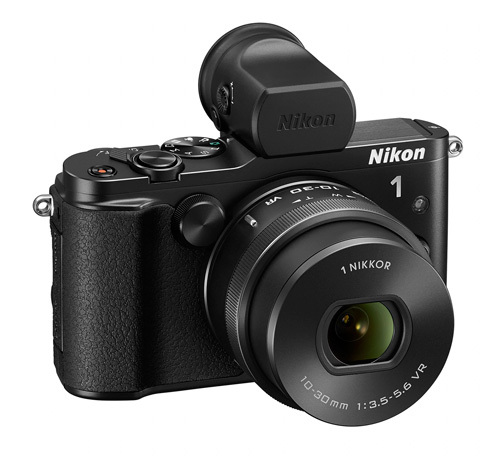 Nikon entered into the world of hybrid cameras with its Nikon One series; the performance of these cameras proved to be disappointing due to their ridiculously small sensors and limited range of available lenses. The Nikon FT-1 adapter ring makes it possible to mount Nikon F lenses on the Nikon One, but these lenses conspire against the camera’s compactness and light weight. Instead of using this adapter, you would be better off choosing an entry level APS-C reflex camera which would have much better performance and not be much larger than the Nikon 1 V1, V2 or V3. 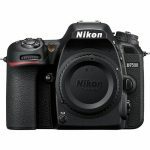 Nikon has ceased to manufacturer this product line since the release of the Nikon 1 J5. Faced with competitors who are slowly but surely eating away at its market share, a sharp decline in reflex camera sales and its failed Coolpix experiment (due to a free-fall in the popularity of compact cameras), Nikon urgently needed to so something to respond to these changing market conditions. Nikon’s main consideration is not profit; by introducing a hybrid camera, Nikon is putting its reputation on the line. Historically, Nikon has acquired a reputation for being able to innovate, to keep its long-time clients, and to develop new segments of the market. It is also known for its ability to anticipate future trends and while I am convinced that reflex cameras will continue to be sold, hybrid cameras are likely to acquire an equal market share in the years to come. 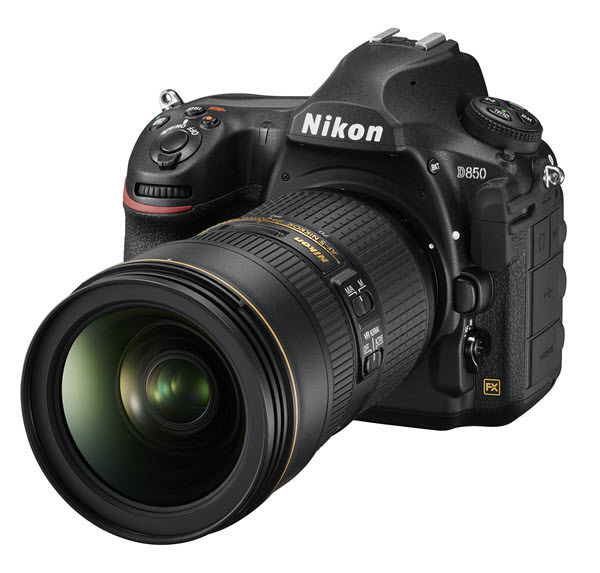 Nikon has managed to retain its capacity for innovation, an ability it has proven over the last two years with the Nikon D5, the D500 and – especially – the D850. The performance characteristics of these professional models are beyond reproach and satisfy the needs of many users – this is especially true of the D500. The commercial success of the D850 is further proof that Nikon aficionados are still willing to trust in their favorite brand if it continues to provide products which are up to their expectations. This camera has already become a classic just a few months after its release and many people seem to agree that “its cost is not an issue”. it will need to offer all of these features at a reasonable price (even if not everyone will be able to afford it), in order to be competitive. However, simply combining already existing components will not be sufficient to create the ultimate hybrid camera. Nikon will have to endow its hybrid camera with that special quality which all of its classic devices – such as the D850 – possess. I don’t know about you, but I am hoping that Nikon develops a truly exceptional hybrid camera! Does this mean that Nikon’s hybrid will be full frame? No one knows for sure. The cost of such a hybrid camera would be high, but nothing is preventing Nikon from adding a new member to the ever-expanding full frame and APS-C hybrid market. Nevertheless, it would also make sense for Nikon to offer more affordable hybrids which would satisfy the needs of other types of consumers and which would complement its extensive line of reflex cameras. The Nikon D500 is proof that there is still a lot of interest in the APS-C sensor format. If this turns out to be the case, Nikon will be faced with a new challenge – that of offering lenses for its hybrid camera. If Nikon decides to develop a new type of lens mount, it will also need to develop a series of lenses adapted to the demands of a full frame or APS-C format hybrid camera. However, doing so would be very costly. For 60 years, Nikon has been capitalizing on its F-type lens mount which has enabled a great deal of compatibility between its different generations of lenses and cameras. The technological advances of the last few years and the increased performance of cameras has meant that lenses – such as Nikon’s AF-P lenses – have had to evolve; as such, they no longer necessarily respect traditional compatibility. Will Nikon use an existing lens mount for its hybrid camera? Probably not. Nikon’s F mount poses a problem of dimensions. Its flange focal distance, the distance from the mounting flange to the film plane, is 46.5 mm (17 mm for the Nikon One, 16 mm for the Sony E). This means that in order to use this type of lens, a hybrid camera would have to be much larger than it would otherwise need to be. It is therefore likely that Nikon will create a lens mount specific to its new hybrid camera. Reusing the Nikon One’s Cx mount does not seem like a viable solution either due to the large diameter of the lenses required by a full frame sensor. Nikon will need to be able to offer a relevant line of lenses from the moment that it launches its hybrid camera, otherwise, it would have a hard time convincing anyone to purchase its product. Nikon would need to offer, at the very least, a series of fixed focal length lenses (24, 35, 50, 85) as well as several professional zooms (14-24, 24-70, 70-200) – perhaps not right away, but definitely in the months following the launch. Nikon will not be able to use any of its already existing lenses since its hybrid camera’s mount is bound to be different; this will require the development of an entirely new line of lenses. This means that Nikon aficionados who already possess Nikon gear would not be able to recycle their F-type lenses and would be obliged to make a large expenditure in order to acquire new ones. 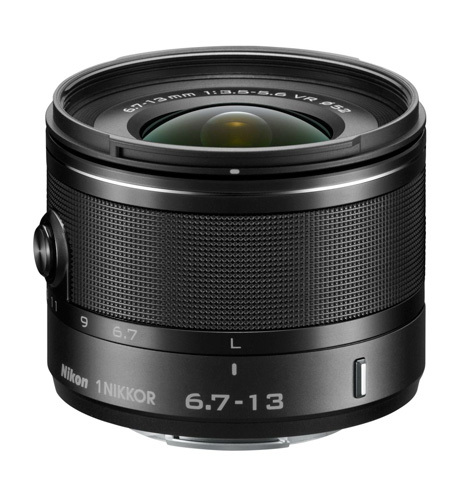 In the past, Nikon has always been able to come up with a solution to these types of problems; the FT-1 adapter ring which made it possible to use F-type lenses on the Nikon One is just the latest example of this manufacturer’s capacity to resolve compatibility problems. As a result, it is more than likely that Nikon will develop a new adapter ring which will allow F-type lenses to be mounted on its new hybrid camera. It remains to be seen what type of constraints this will imply. Hybrid cameras have, for a long time, lagged behind reflex cameras in terms of the responsiveness of their autofocus systems. Some brands performed better than others, but the fact that many action and sports photographers never transitioned to hybrid cameras is, in part, due to this lack of responsiveness. However, this is no longer the case: nowadays, the best hybrids can hold their own against the best reflex cameras – if not outperform them. 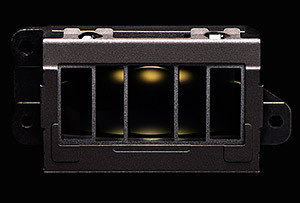 Nikon is very experienced at developing autofocus systems and has at its disposal the very powerful MultiCam 20k AF module (used on the D5/500/850) which has 153 AF points – of which 99 are arranged in a cross formation. Nikon has also proven time and again that it is able to successfully incorporate components from one camera into another – such as its Expeed processors which are used in its reflex cameras as well as by the Nikon One. It is, therefore, possible that Nikon may decide to reuse its MultiCam 20k module in its hybrid camera even if the current trend is towards the development of a totally different type of module based on a hybrid technology of over 300 AF points. This type of technology makes it possible to combine phase detection with contrast detection in order to obtain increased responsiveness and sensitivity while providing almost total field coverage. This is all the more important since Nikon’s 153 collimator module only provides partial coverage of the area displayed in the viewfinder of a full frame camera. Nikon’s hybrid: a single device or an entire product line? Nikon is entering into the world of hybrid cameras and I don’t foresee this manufacturer developing a single model simply to be able to say that it has one on the market. It is probable that Nikon will release a first hybrid camera sometime in 2018 with the more ambitious goal of developing it into a fully fledged product line later on. Indeed, the project’s entire credibility rests on the future development of other hybrid cameras since Nikon will be asking its customers to invest in an entirely new lens format. Nikon’s hybrid is being billed as the ultimate hybrid camera, it will, therefore, most likely be sold for a correspondingly high price. The existence of competing product lines, which give particular importance to providing affordable devices, should incite Nikon to offer cameras which will allow those users not seeking the ultimate hybrid to easily make the transition from reflex cameras. Close to 3200 dollars for the Sony Alpha 7R III, 4500 dollars for the Alpha 9, 6500 dollars for the medium-format Fujifilm GFX 50s, 1800 dollars for the Olympus OM-D E-M1 and the Panasonic G5 (January 2018 prices). In what price range will Nikon’s hybrid find itself? Probably the same range as the more expensive Sony Alpha 7 and 9 and the Fuji GFX which are among the most powerful hybrid cameras at the moment. Nikon is not in the habit of offering very highly developed products at very affordable prices, and given the success of the D850, they are not likely to change their customs. 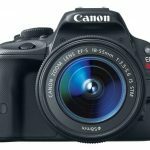 In addition to the cost of purchasing the camera itself, you will need to factor in the cost of purchase a number of dedicated lenses and batteries (one of the handicaps of hybrid cameras). A few hundred thousand dollars more? Are you interested in this subject? Is Nikon your favorite brand? Are you anxious to find out what its new hybrid camera will look like? Do you already own a hybrid camera? What are your expectations? Feel free to share your comments with us and to participate in the debate! Nikon could shortly launch a new Coolpix with a one inch sensor.